I used the Tutti Designs Birthday Cake die to make this 50th anniversary cake by cutting out the candle and applying the number 50 on top. 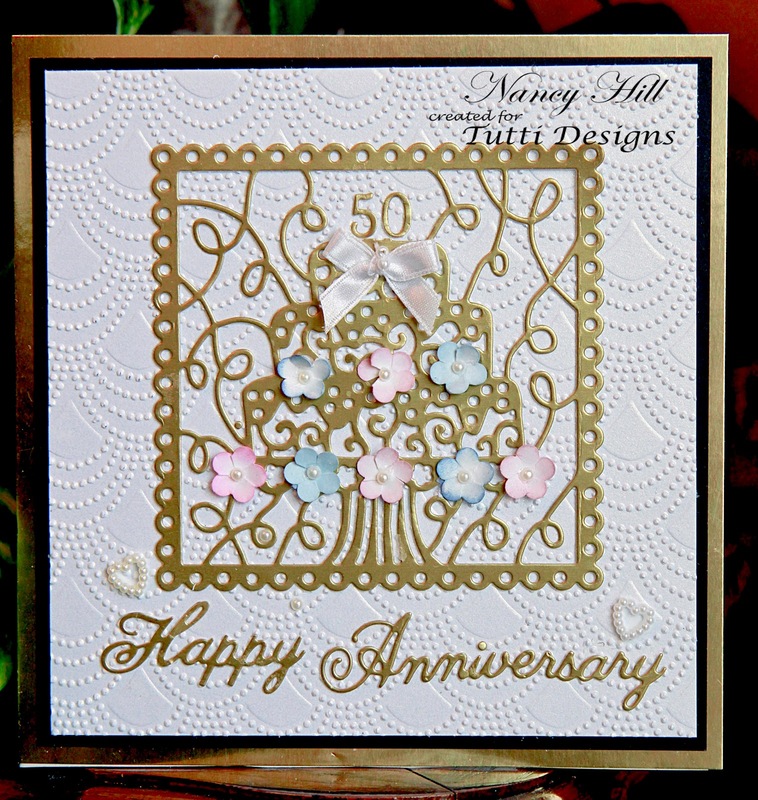 You could do this for any anniversary or even other occasions such as a wedding card by cutting out the candle. 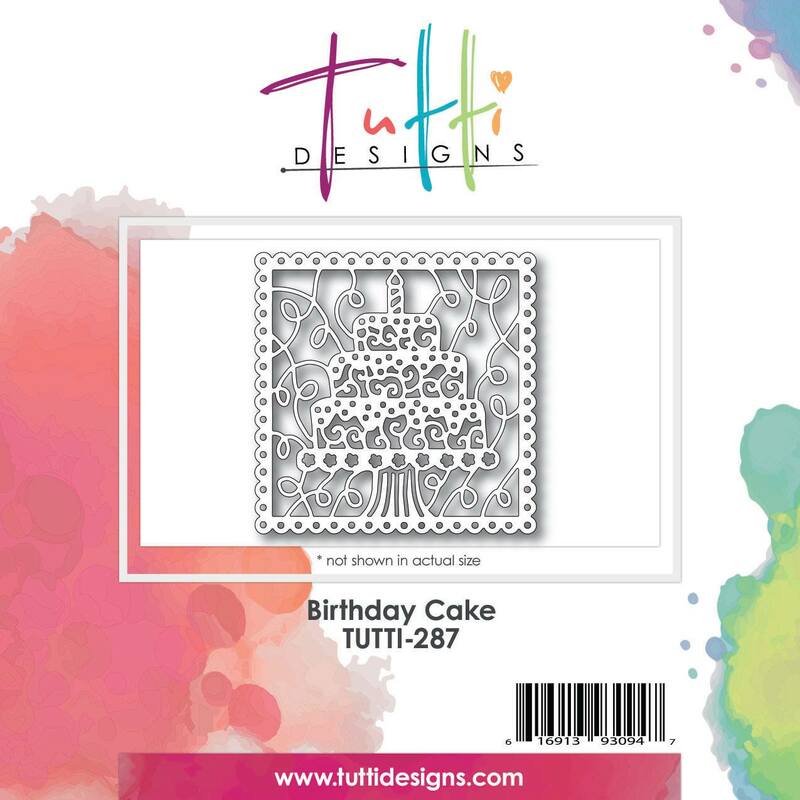 I embossed the white shimmer paper and used Aleene's Fast Grab and Fast Drying spray glue to adhere the Tutti Designs Birthday Cake die cut on the card. 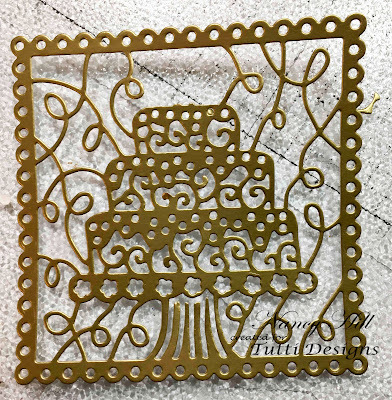 I added some flowers cut out from a punch, sponged on some pink and blue and glue on 2mm flat back pearls in the center of each flower and glued it on the cake. 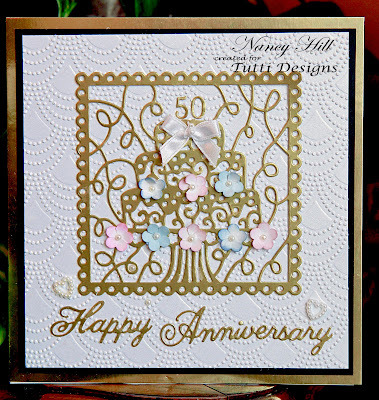 I used the same spray glue for the words to adhere to the card.